Summary of the Review – Do We Recommend It? 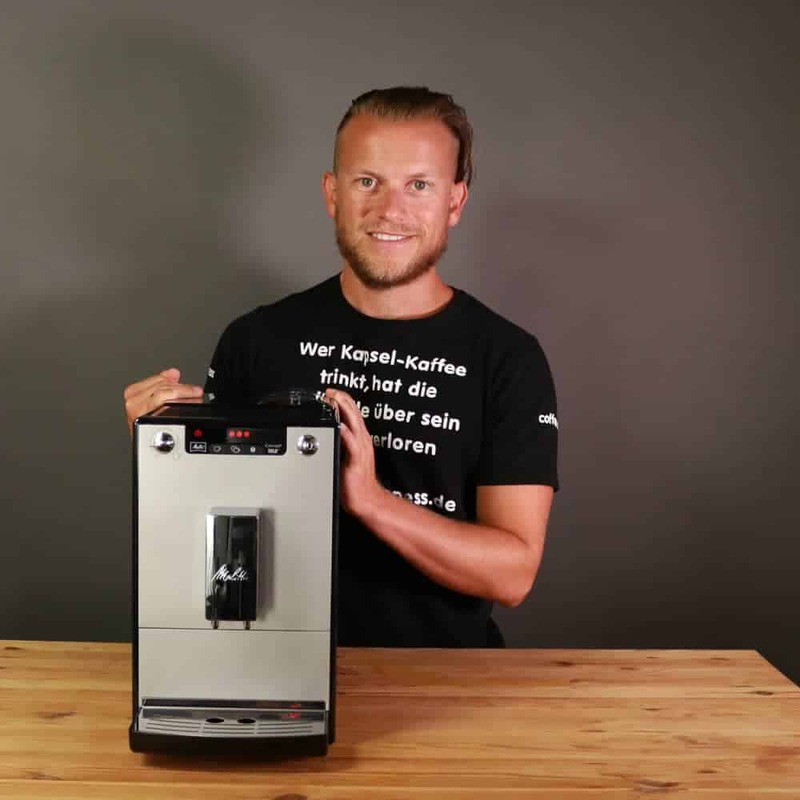 I have already tested and reviewed the larger Melitta automatic espresso machines. Now it’s the smallest one’s turn: The Melitta Caffeo Solo. This is a small, nice machine that stands out mainly because it is simple to use. You can find all my reviews on the best espresso machines here. 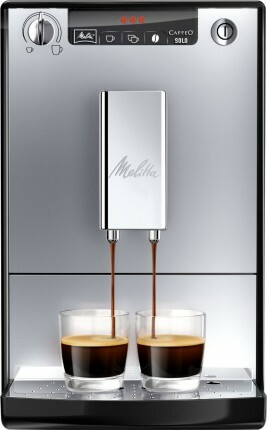 The Melita Caffeo Solo is the perfect automatic espresso machine for up to two coffee drinkers who don’t need milk foam. If you try to use it for more than two people, it will quickly seem too small. If you want milk foam, there’s also a version of the Caffeo Solo that comes with a cappuccinatore milk frothing system. 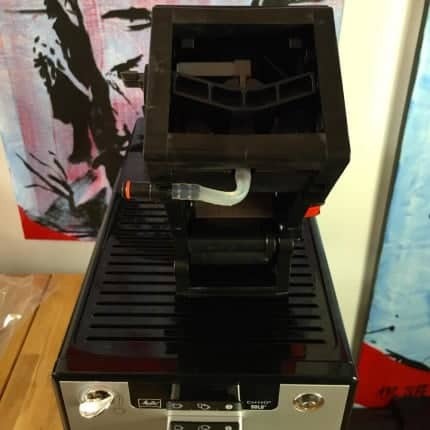 That model is at least $120 more expensive, but it’s still about $250 cheaper than the next class up within the Melitta line of automatic espresso machines. The model with a cappuccinatore comes in two colors (these models are labeled with the phrase “& Perfect Milk”). You can see the models with the milk foam system here on Amazon.co.uk. Small, no-frills machine, but it works very well. One of the most interesting things about this automatic espresso machine is its built-in technology. It is basically the same setup that you would find in more expensive models. For example, the brewing unit is identical to the ones in more expensive Melitta machines. 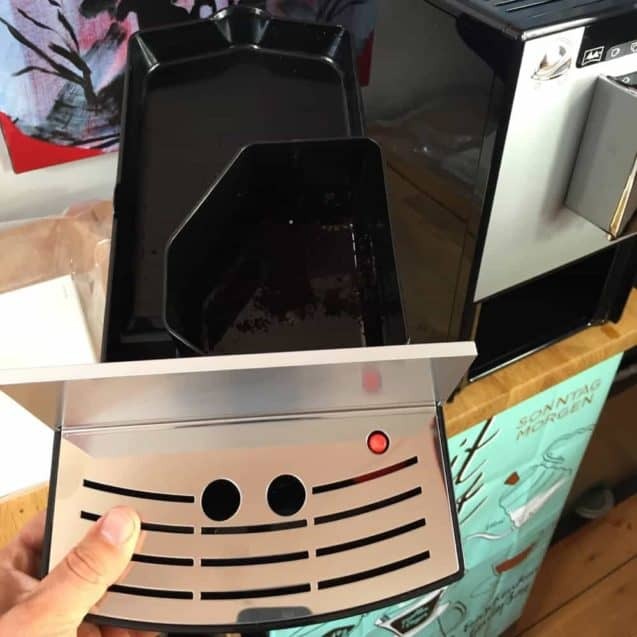 The brewing unit is removable, as is always the case with Melitta machines, which makes cleaning easy. 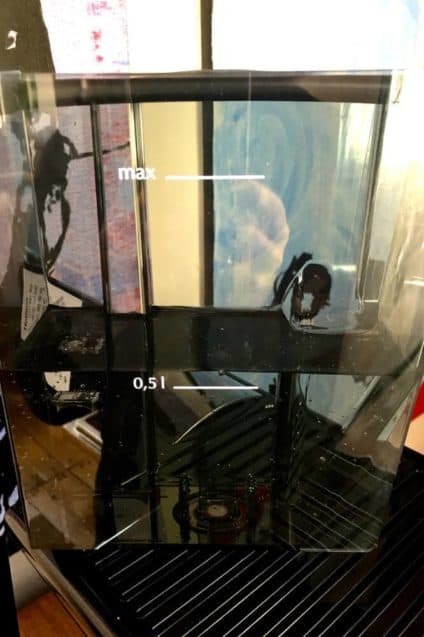 The only feature on this machine that hints at its inexpensive price is the lid on top of the water tank – it’s pretty cheap-feeling. Inexpensive, with a good balance of price and performance. Compact – works even in small kitchens. Easy to make very good espresso. The same brewing unit as expensive Melitta machines. You only get milk foam with the “Perfect Milk” models. The lid on the water tank isn’t very sturdy. Everything is quite small: bean compartment, water tank, catch tray. There are six design variations of the Melitta Caffeo Solo, but all have the same features. 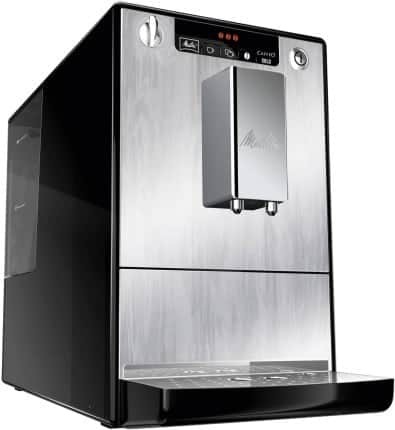 Then there are also two models with the built-in cappuccinatore system, which can make milk foam. Those models are called “Melitta Caffeo Solo & Perfect Milk.” We will look at these after checking out the “normal” Caffeo Solo models. Each color has its own serial number, but don’t let that confuse you. There are also bold-colored models – “charisma blue” and “chili red” – but they are harder to come by. You can check out a comparison of the current prices of all models here on Amazon.co.uk. The silver-black model is the one I used for this test. I believe that it is also the most popular model. 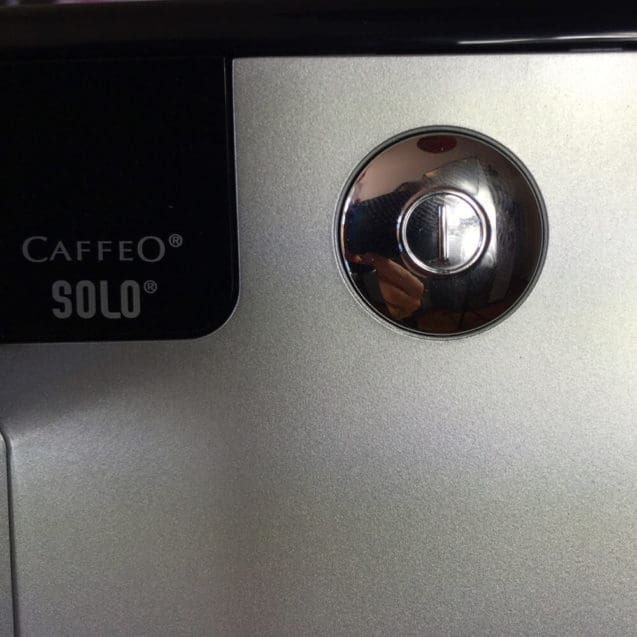 This model of the Caffeo Solo has a stainless-steel front. A bit brushed, a bit polished. This model is more expensive, but only by about $30 or so. You are all set if you have a black kitchen (do those exist?). Personally, I like the other models more. The so-called Design Edition is completely black. Even the adjustable spout is black. There are also Melitta Caffeo Solo models with a cappuccinatore, which is a milk foaming system. These models have a foamed milk jet and a tube on the right side of the machine. The tube can be inserted directly into a milk container. This works well, but it means you can’t make a drink with just one push of a button. After making an espresso, you need to put the cup under the cappuccinatore (or vice-versa). The milk foam is as good as you get from expensive Melitta machines. In other words, the process is more involved than it is with other Melitta automatic espresso machines. On the other hand, the Caffeo Solo & Perfect Milk is also less expensive than the other machines. Here you can see the silver model with the cappuccinatore. However, don’t forget that the law of gravity also applies to the milk tube. You can also get the Perfect Milk model in black. These two designs are the only ones that will give you milk foam. You can download a pdf of the user’s manual from the Melitta Website. The manual is complete and really well done. That’s not always the case. You probably won’t need to get out the manual very often. It is very intuitive to use. There are no programmable elements, so you also won’t need to reset anything. So far, I have not found a way to determine the number of times you have used your machine. The only setting that might change is the water hardness, at least if you use a filter. The factory default is set at a water hardness of “four,” which is hard. However, if you use a water filter, the machine will switch to a hardness setting of “one.” That means you will need to decalcify it less frequently. 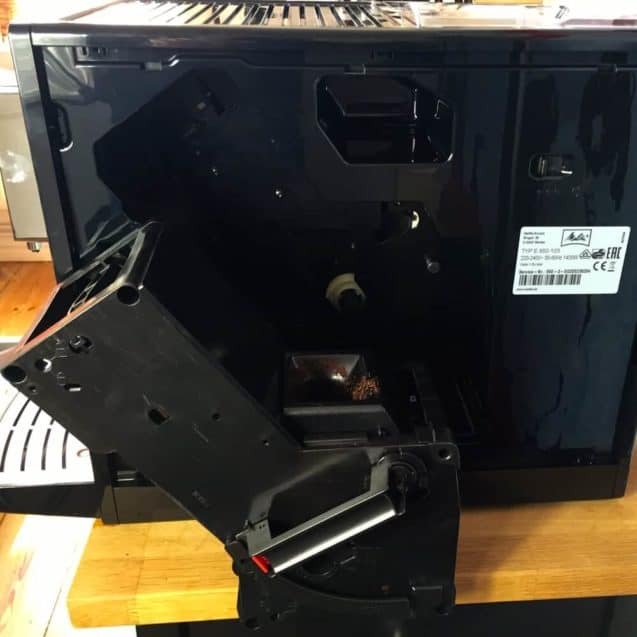 As long as the machine is under warranty, I would avoid taking the Caffeo Solo apart because that will void the warranty. Plus, machines in this class generally aren’t made to be taken apart, anyhow. For many coffee lovers, it’s important that their favorite cappuccino cup can fit under the spout. This machine has an adjustable spout that you can slide up and down. I included a few pictures here with a measuring tape. The picture on the left shows the spout at its lowest height, and the right one at its highest point. The maximum height is 13.5 centimeters, or about 5.3 inches. Those heights are relatively normal, and most cups should fit under the spout without any problem. Setting up this machine was child’s play. When you get the Melitta Caffeo Solo, you can probably leave the manual in the box. You just need to fill up the water tank and the bean compartment. If you want to use a water filter, you will need to screw it into the tank. Just note that most Melitta models don’t come with a filter, so you will have to get one separately (we will talk more later about the filters). To start off, I recommend making a few toss-out espressos to get everything cleared out and running. Don’t be stingy here – I suggest using cheap coffee beans for the first few cycles and then later switching over to the good stuff. Later, I’ll talk about how I came to the right settings to make a good espresso. By all means, though, have fun and try out different settings. Package Contents: What’s in the box? Not a lot of extras. There’s no cleaning kit and no water filter. Actually, it just includes the manual and the water hardness testing strip. If you want more gadgets included, you will have to go with a more expensive model, or simply order them separately. This machine has a simple, single-color LED display. The symbols are easy to understand. The little beans indicate how much ground coffee the machine will use. One bean is less, two beans is more, and three beans indicate the maximum amount. When the power light is flashing, it indicates that the machine is heating up, and when the light is steady, the machine is ready to use. The dripping water faucet symbol indicates that the water tank is empty. You can find a key to all the symbols in the manual. You will only be able to make milk foam with a Melitta Caffeo Solo if you get a “Perfect Milk” model. 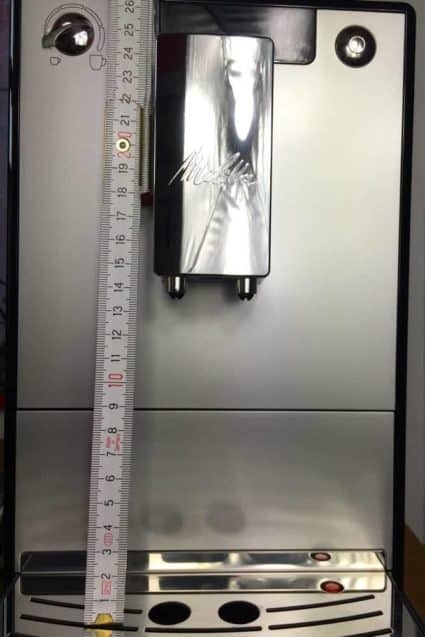 With this model, you can expect the machine’s cappuccinatore system to give you milk foam that is similar in quality to the fully automatic systems on other Melitta machines. In terms of easy-to-use milk foam systems, a cappuccinatore is mid-range. You will need to make milk foam manually on machines with a steam wand, and fully automatic machines will let you do everything with a single push of a button. To use this cappuccinatore system, you will need to move the cup after you’ve made the espresso. In other words, it’s one more step than you would need with the Melitta Caffeo CI. It is especially easy to make an espresso with the Melitta Caffeo Solo. There’s a dial on the left side where you can choose the amount of espresso to make. Simply turn it counter-clockwise as far as it goes – the machine will make the least amount of espresso and the minimum volume. 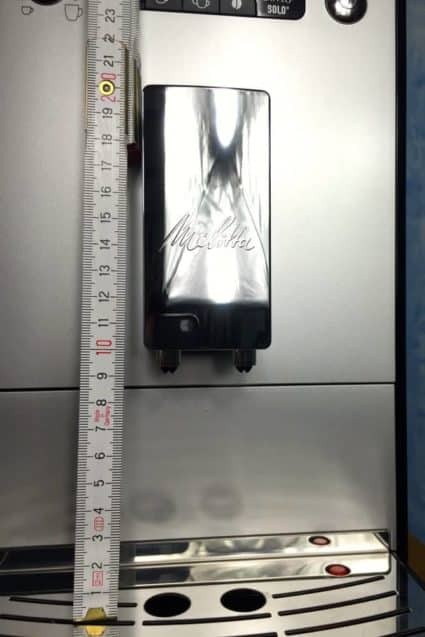 That’s around 1 ounce, or 30 milliliters. Actually, a bit less would be better, but I was still happy with the taste. Then you will need to adjust the grinder setting. The factory sets it to the coarsest level possible. 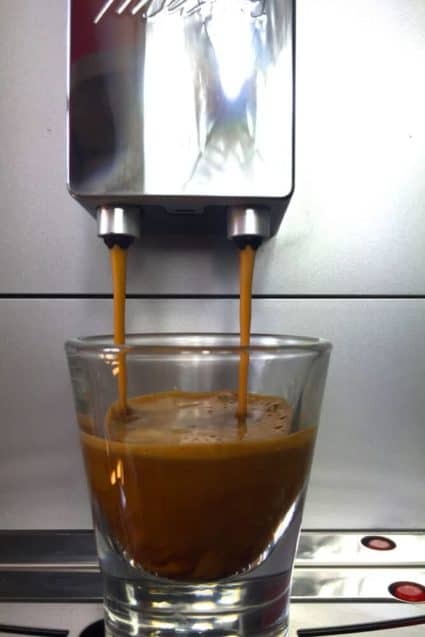 Automatic espresso machines already tend to grind too coarsely, so it’s better to set it to a finer level. With any kind of grinder, it is always best to adjust the coarseness little by little, at least when you’re going finer. Otherwise, the grinder can get clogged. If that ever happens, though, just switch back to the coarsest setting. So, move the grinder one setting finer and make an espresso. Then repeat the steps. I did this until I reached the finest level. However, coarseness can also be affected by the kind of espresso you use. Therefore, keep adjusting the coarseness until the espresso stops flowing out. Then it’s time to move it back up one notch to a coarser setting. I generally don’t like the “drip” style coffee you get from automatic espresso machines. Therefore, I recommend making a café americano instead. To do so, make a regular espresso – the more shots, the stronger – and then simply add hot water. You should experiment to see what ratio of espresso to hot water you like best. This will also depend on the beans you use, and generally it’s best to try the beans out by making both an espresso and an americano. I am interested to hear how you have discovered your favorite technique. I’m always happy to hear your comments and experiences. What Coffee Should I Use with the Melitta Caffeo Solo? The question of which espresso beans to use is an important one. 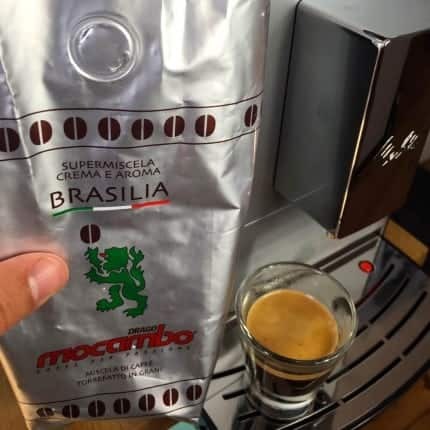 The pictures in this article show our tests using the “Drago Mocambo Brasilia” beans. 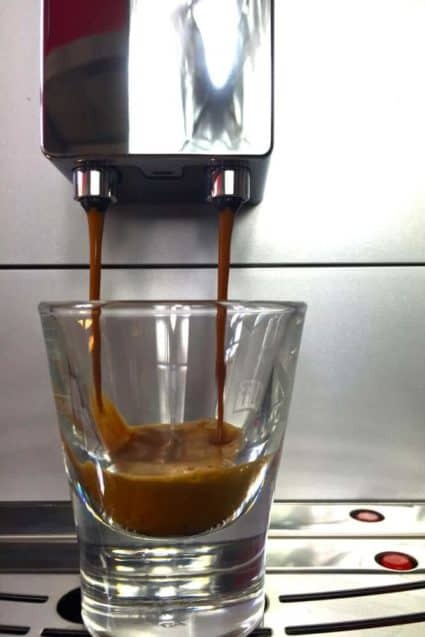 That blend makes an espresso with a solid crema that doesn’t taste acidic – often a problem with many automatic espresso machines. With its blend of 40 percent robusta beans, it has quite a lot of caffeine. 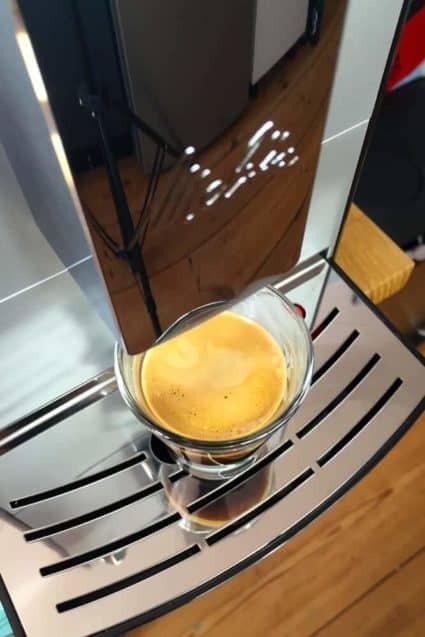 In general, when making an espresso in an automatic espresso machine, I find blends with robusta beans taste better than ones without – but there are always exceptions! I’d like to warn you away from grocery store coffee, as it is usually old. I always recommend finding a local roaster where you can clearly identify the roasting date. It’s not always easy to find the right coffee beans for your automatic espresso machine. I’d simply suggest that you test and compare a lot. 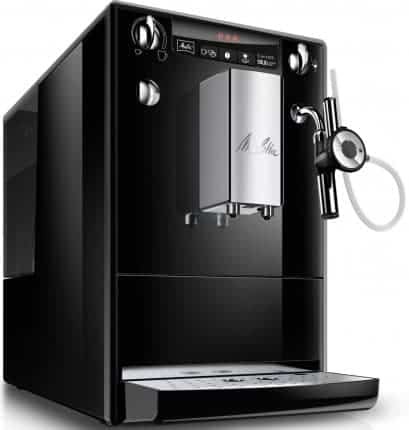 The Melitta Caffeo Solo is an automatic espresso machine with a stainless-steel conical grinder. That is generally the most commonly used grinder on automatic espresso machines. 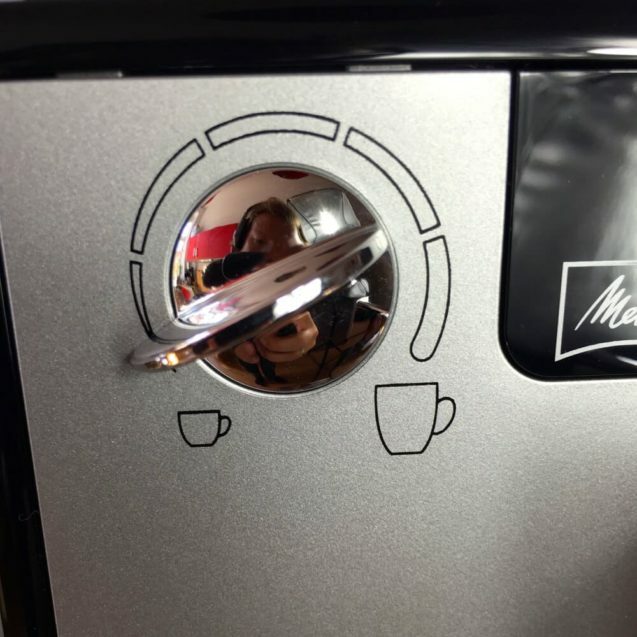 You can find the grinder adjustment lever, as well as the brewing unit, behind the lid on the right side of the Melitta Caffeo Solo. According to the product description, it has three possible settings. However, when I actually adjusted the grinder, it appeared to be infinitely variable between those settings. That is, at least I didn’t hear any troubling sounds emanating from the machine or any other indications that it was a problem. The factory preset is the coarsest setting, which was too coarse for me. I adjusted it to the finest setting out of the three and got better espresso results with that setting. However, you should try it out for yourself to get to the optimal coarseness and amount of ground coffee you prefer. The important thing is to always adjust a little at a time – and that is especially true if you are adjusting it to a finer setting. I suggest that you adjust it by one step at a time and then make an espresso. If that’s not quite right, then do one more step, and so on, until you get it just right. If the espresso stops flowing out or spurts out of the spout, then the grinder setting is too fine. However, that never happened to me in this test, even though I got to the finest setting. The power button turns the machine off and on. 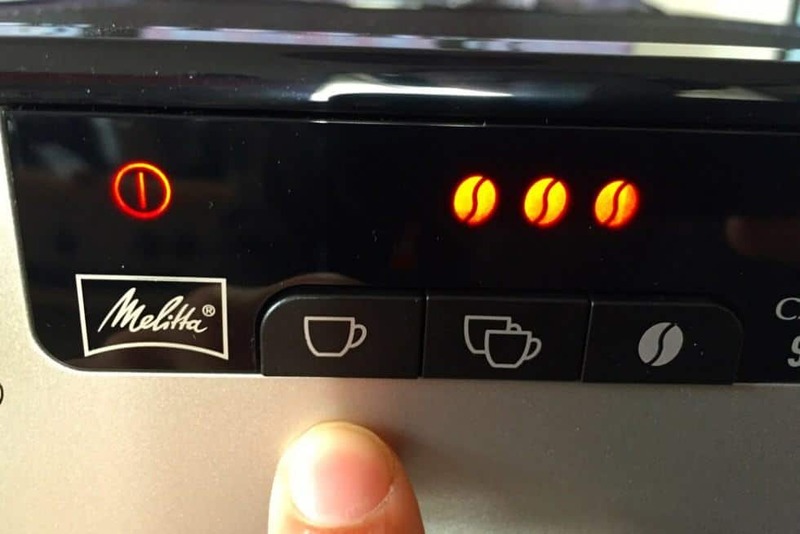 Before you try to remove the brewing unit, it’s important to always turn off the Melitta Caffeo Solo using the main switch. This will prevent the brewing unit from getting stuck. 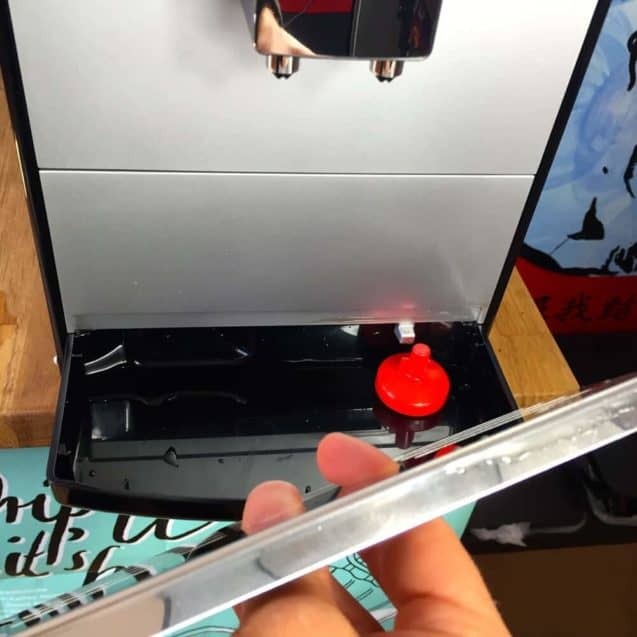 On the left side of the machine (in the photo on the right), you can see the dial that lets you adjust the amount of brewed coffee. To make an espresso, I turned it all the way to the left, which gave me the smallest amount. This dial lets you choose between about 1 and 7.5 ounces (30 to 220 milliliters) of coffee. 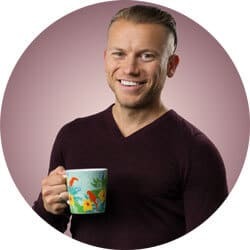 If you need more coffee, you can simply press the button with two cups, which will then let you choose between 2 and 15 ounces (60 to 440 milliliters). 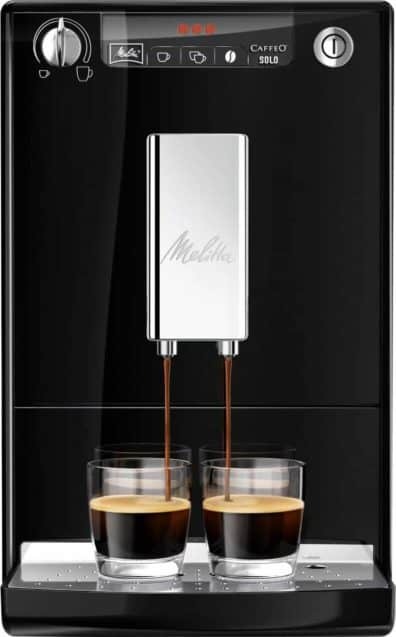 Overall, the Melitta Caffeo is really a nice, slim machine that should fit into most kitchens. However, this also means that its parts are also small. It has a 40-ounce (1.2 liter) water tank, a 4.4-ounce (125-gram) bean compartment, and a small catch tray. I would say that the machine can reasonably work for just one or two coffee drinkers. The Caffeo Solo doesn’t have an external compartment for pre-ground coffee. Although this may seem like a drawback at first glance, I think that it’s actually an advantage. I always advise against using these compartments with automatic espresso machines. They usually don’t work well, and they are difficult or even impossible to clean well. 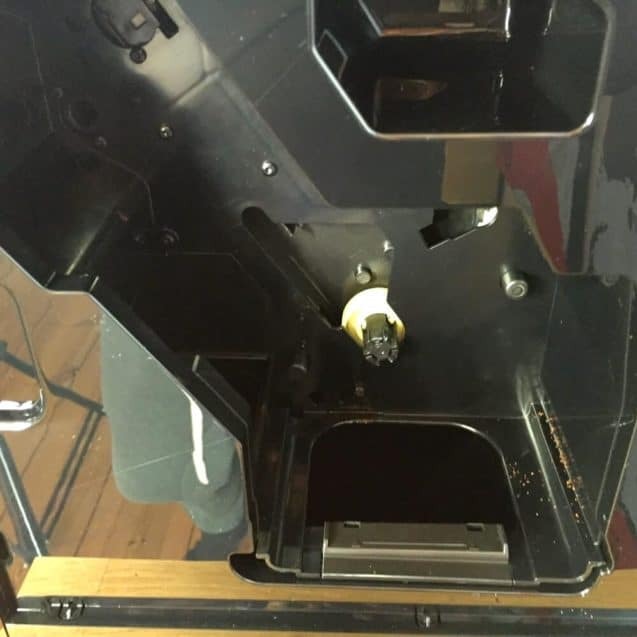 There’s a lot of humidity inside the machine’s case, which holds the grinder and the brewing unit. If you add a compartment for pre-ground coffee, the coffee will tend to get stuck on the compartment’s sides. Plus, using pre-ground coffee negates one of the best things about an automatic espresso machine: it grinds your coffee fresh every time. So, I don’t think it’s a problem that it doesn’t have a compartment, because I wouldn’t use it anyhow! 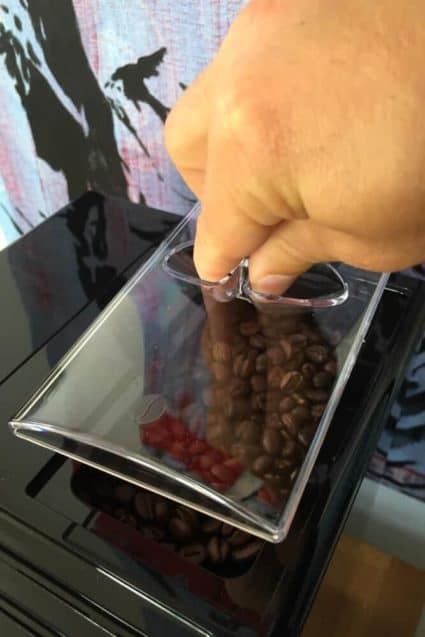 The bean compartment can hold about 4.4 ounces (125 grams) of espresso beans. That is a small compartment, but I think it’s enough for this machine. In any case, I usually try to leave as much of the beans as I can in the original bag because the beans will stay fresher there. The point isn’t to fill the machine with tons of coffee beans. The lid on top of the bean compartment is a bit cheap-looking, but it does its job. It’s just part of being in the low price class. Cleaning is an important aspect of owning any automatic espresso machine. You will only get tasty coffee if you take good care of your machine. Regular cleaning will also significantly extend the lifespan of your Melitta Caffeo Solo. You will always hear horror stories of lime deposits and mold, but if you take good care of your machine, you won’t have to worry about them. You should definitely run the cleaning program regularly. The Melitta Caffeo Solo takes care of normal rinsing by itself, but you need to run the more thorough cleaning programs. In addition to the regularly-scheduled cleaning that the machine needs, I would also recommend running the programs before you go on a trip. You should also remove the brewing unit and store it outside of the machine while you are gone. You can buy original “Perfect Clean” tablets here on Amazon. Unfortunately, the machine doesn’t come with any. You can screw a Claris water filter cartridge into the water tank of the Melitta Caffeo Solo. These don’t come with the machine, either, but you can buy some from Amazon. 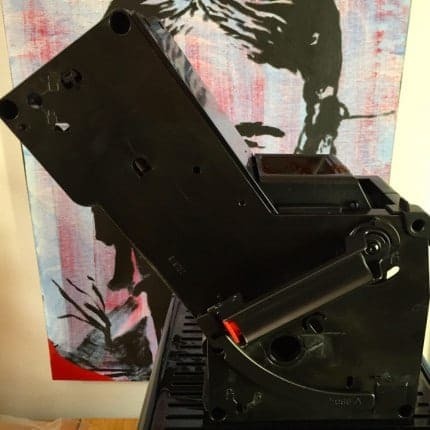 The cartridges should last around three months, depending on your use. You should just consider them a recurring expense. What’s the point of using water filters? It’s simple: They reduce the hardness of the water, which in turn reduces the water’s calcium content. If you use a water filter, you will have to decalcify your Caffeo Solo less frequently. The harder your water, the more important it is to have a filter. Of course, you can also use the Melitta Caffeo Solo without a water filter, but then you will need to decalcify more frequently. You can test your water’s hardness with a testing strip. There’s one included in the box with the Caffeo Solo. 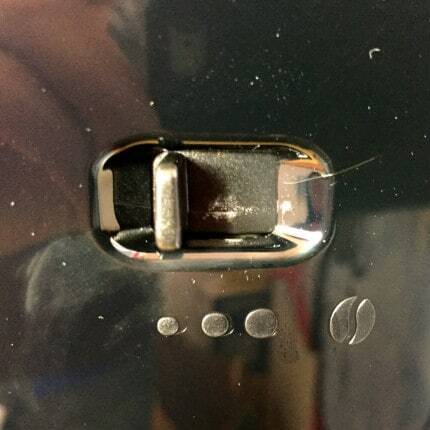 Here you can see the somewhat flimsy water tank lid. I would prefer that it be a bit better-built, but I will have to chalk it up to the low price class. The water tank is easy to remove. You can then simply take it to and from the water faucet. 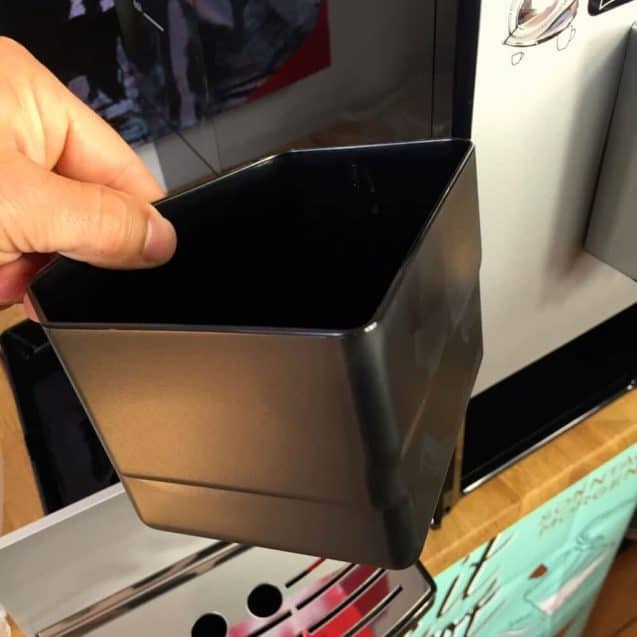 The Melitta Caffeo Solo has a catch tray and a drip tray, but they are small. 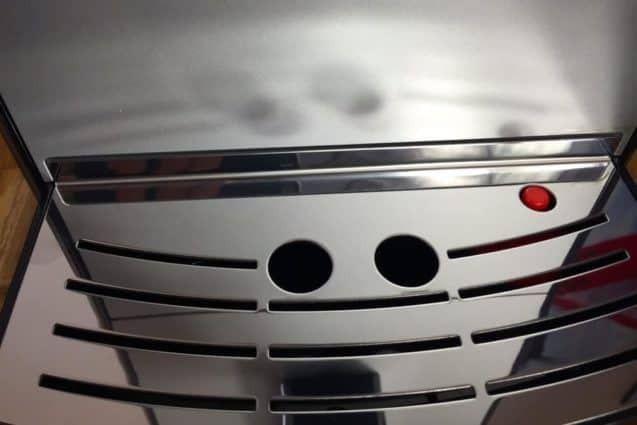 There is a stainless-steel grate with a red floating gauge that indicates the water level inside. All the parts are easy to remove and clean. I would avoid using the dishwasher to clean them, though, and simply wash everything out with running water. This is better for the materials. 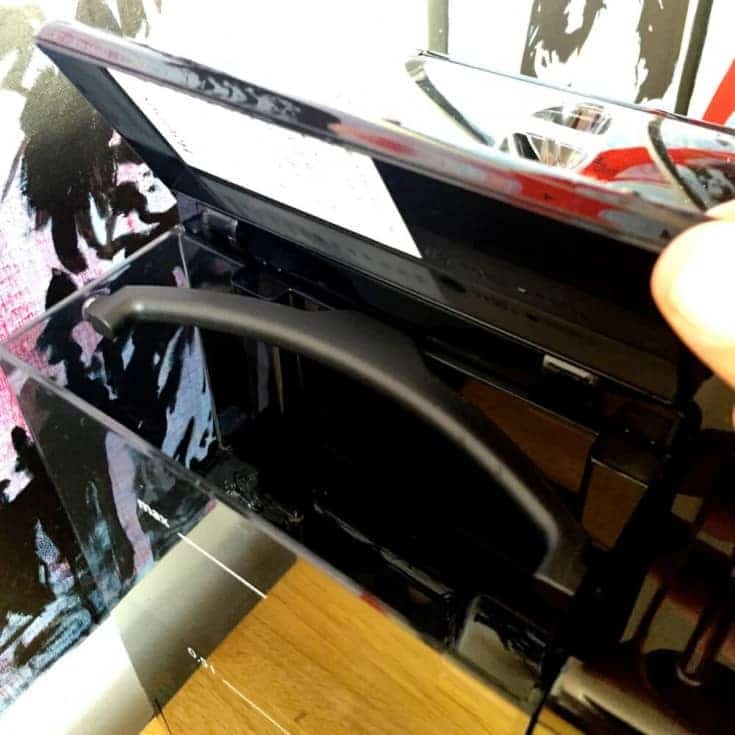 Plus, there’s nothing worse than getting coffee residue in your dishwasher – it’s a huge pain to get out. The grate and the warming tray for cups are nice and shiny, but they get scratched easily. 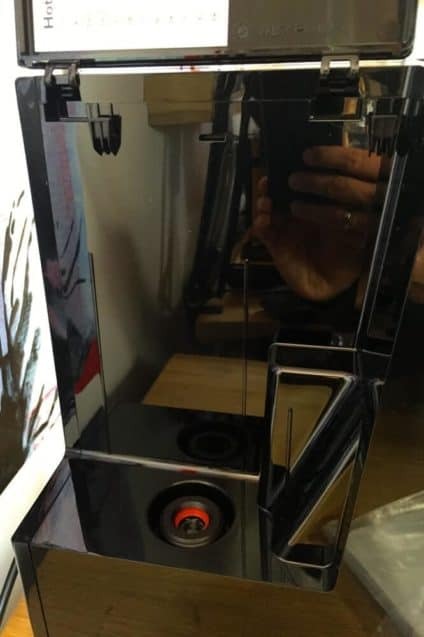 Cups’ porcelain bottoms unfortunately tend to scratch up these surfaces – and that’s true whether you spend $200 or $2,000 for your machine. Personally, I would do it a bit more often. Simply think of how long you would use your coffee mugs without washing them out – not too long, right? That is also why I rinse out the brewing unit with running water every day that I use the machine. Then I dry it and put it back in. However, please don’t use any cleaning products. The brewing unit is identical to the ones you will find in the expensive Melitta automatic espresso machines. (Here you can find my review of the Melitta Caffeeo CI.) The red button will release the slider. 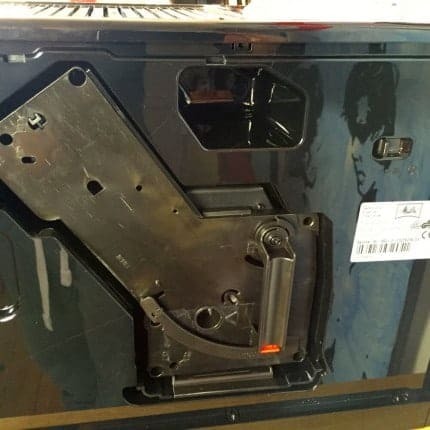 Slide the unit up and to the left to remove it. I think this brewing unit from Coffit is the most easily removable one on the market. A removable brewing unit has some advantages. 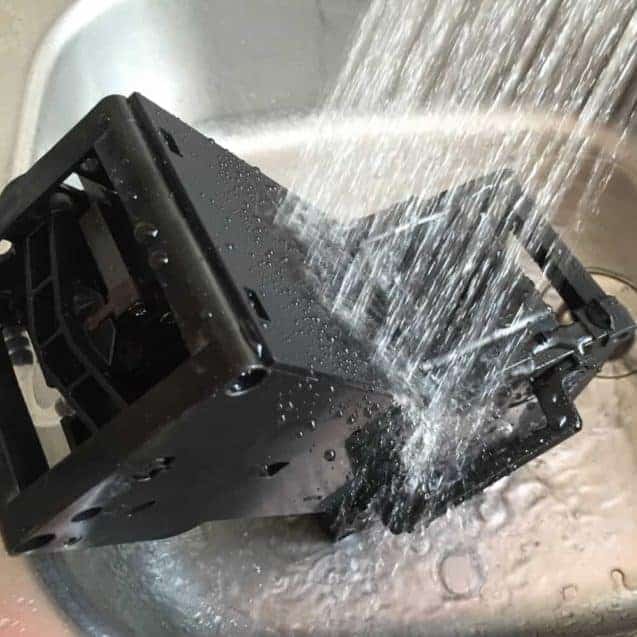 If it breaks, you can simply replace the unit. You can even buy a replacement one on Amazon. You can therefore replace the “heart” of your Melitta Caffeo Solo if you have a major problem. Also, you may just need to replace some of the seals after a few years. However, the biggest advantage of a removable brewing unit is that it is certainly more hygienic. 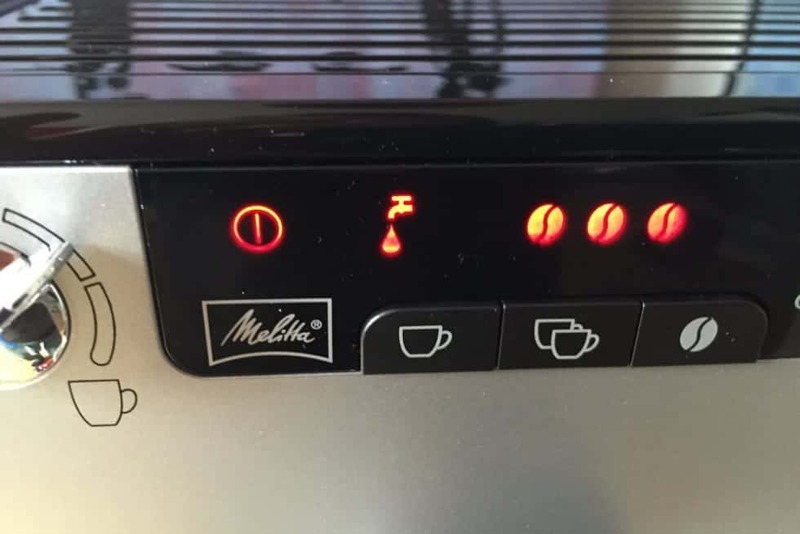 If you are struggling to put the unit back into the machine, check to ensure that the lever is raised and that you have turned off the Melitta Caffeo Solo by using the front switch. This helps avoid jams. In some cases, you may need to grease the movable parts, but that is something you should need to do just once a year, tops. I gave this machine a good rating. The Melitta Caffeo Solo knows how to do what it needs to do. It is small and can make coffee and espresso. “Perfect Milk” models are also the least expensive Melitta machines that have milk foam systems. 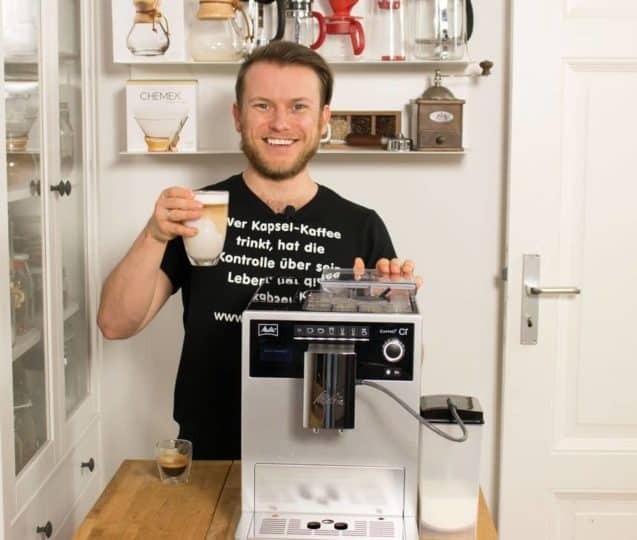 The test machine, which didn’t have a cappuccinatore, is mostly aimed at purists who don’t care about milk, or at buyers who already have a separate milk frother. The Melitta Caffeo Solo is definitely not meant for large families. It is a machine for one or two people at the most. Its smaller size also means that it also fits well in smaller kitchens. 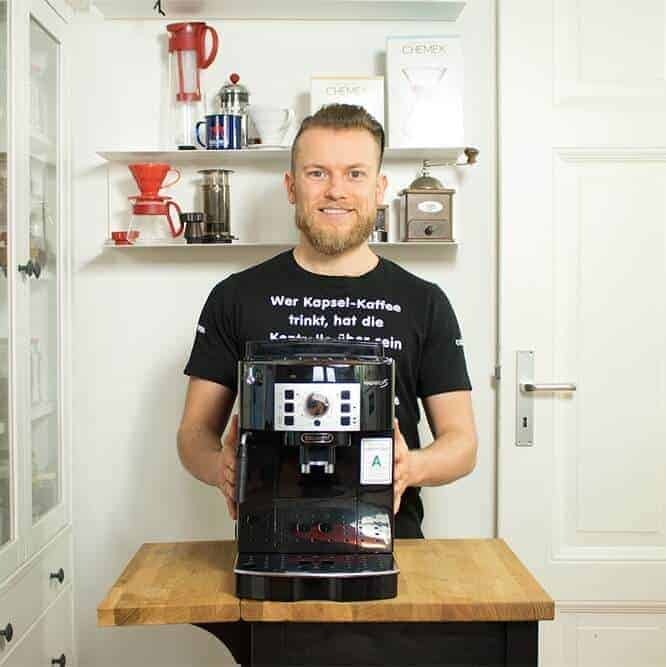 This automatic espresso machine contains the same technology that you will find in Melitta’s expensive machines, which makes it a good option for people looking to save some money. This machine is comfortable and easy to handle and use. You can do almost everything without even needing to look at the manual. Even cleaning by hand is easy, which is something that I always think is important. For its price class, the Melitta Caffeo Solo is also quiet. However, that doesn’t mean it is super quiet, though. Machines like the Siemens EQ.6 are noticeably quieter, but they also cost twice as much. Automatic espresso machines from DeLonghi in this price class are louder. People often ask me which automatic espresso machine is better: the Melitta Caffeo Solo or the Jura Impressa C60. The answer is clear for me – the Melitta Caffeo Solo clearly has a better balance between price and performance. You can check out my full review (with video) of the Jura Impressa C60 here. There are also other good alternatives if you don’t like the Melitta Caffeo Solo. The DeLonghi Magnifica S ECAM 22.110 is a solid automatic espresso machine from DeLonghi. 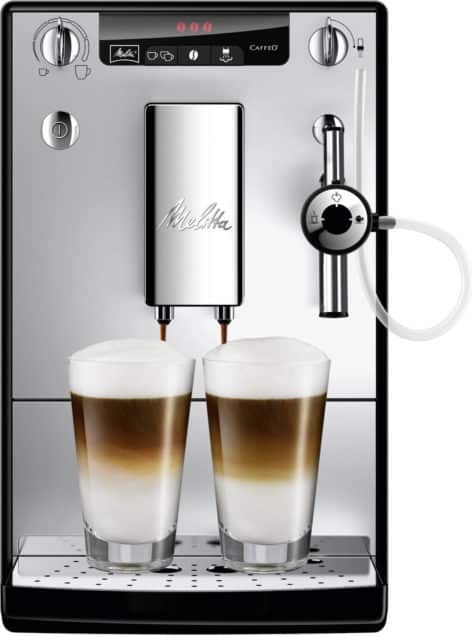 It is easy to use and – in contrast to the Melitta Caffeo Solo – has a manual milk foam system. It’s also around the same price. You can find my full review of the DeLonghi Magnifica S ECAM 22.110.B here. 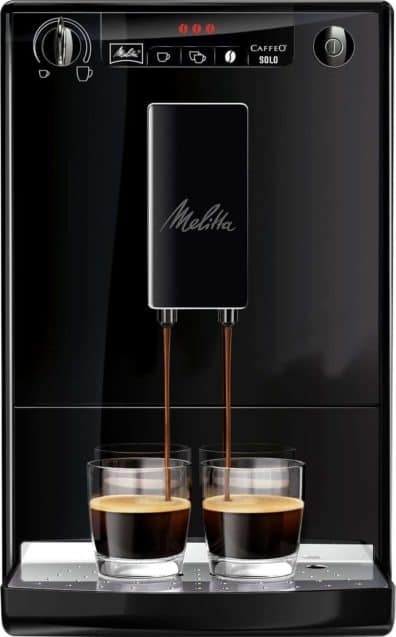 The Melitta Caffeo CI is probably the most popular Melitta automatic espresso machine. However, it also costs about twice as much. However, at least that money will get you a machine that works well for more than two people, and which has a great automatic milk foam system. You can find my review of the Melitta Caffeo CI here.